When I asked my two year old what kind of birthday party he wanted, I wasn't expecting the answer he gave. I suggested Lego, pirates, Mickey Mouse and other favourites. He looked at me, thought for a few seconds and then announced that he would like a letters party - an alphabet theme. In the past year he has gone from being able to recognise and read individual letters to reading whole words and he has loved the whole process. He has always been a lover of books and I hope that this continues as he learns to read and understand whole stories. As a party theme though? It is a bit odd! As we were throwing a picnic in the park party, I decided not to go overboard on the theme, but just use a few small touches. 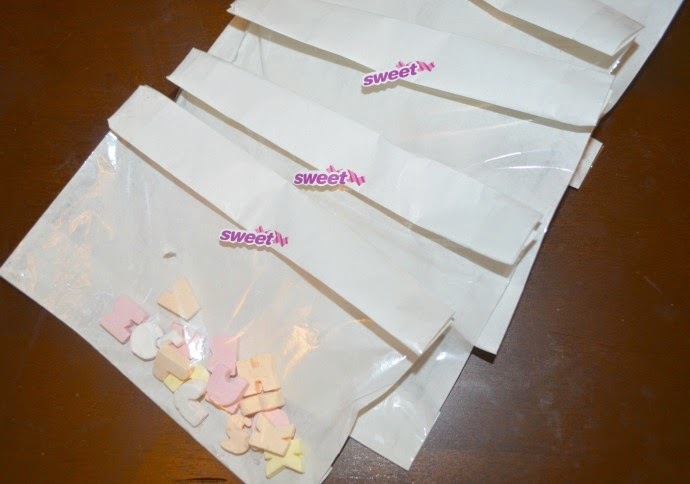 For the party bags, the children got a small blackboard, with their name written on there, and then a party bag with some chalks, a wiper and a little bag of candy letters. They seemed a hit with the children and adults, and I made sure we kept some for us too. For the birthday cake, I spent time looking at lettered cake moulds, before deciding on an alphablock. Dylan loves the Cbeebies programme, and it seemed a much simpler idea. I made two 7" square cakes, covered one with purple icing and the other with white. 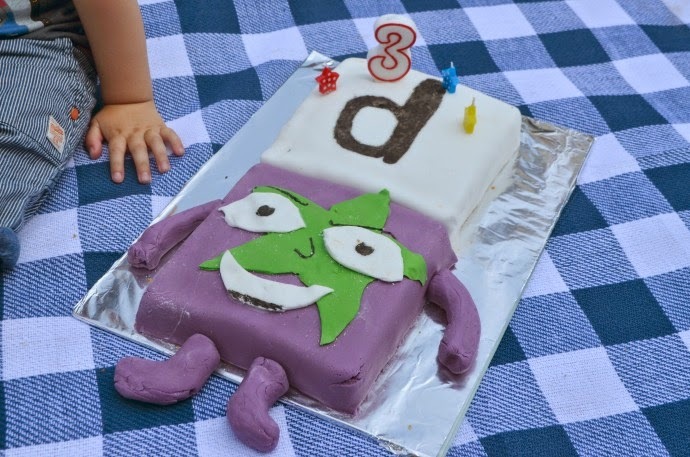 On the white cake I drew a black 'd' in edible pen, and on the purple icing a added a green icing star and facial features using roll out icing and pens. The arms and legs were just icing added after the cake was finished. The cake looked home made and very rough round the edges, but my little guy seemed happy. Dylan loved his cake, and it was gone in one sitting with all his family and friends having a slice. I think, I hope he had a great birthday. 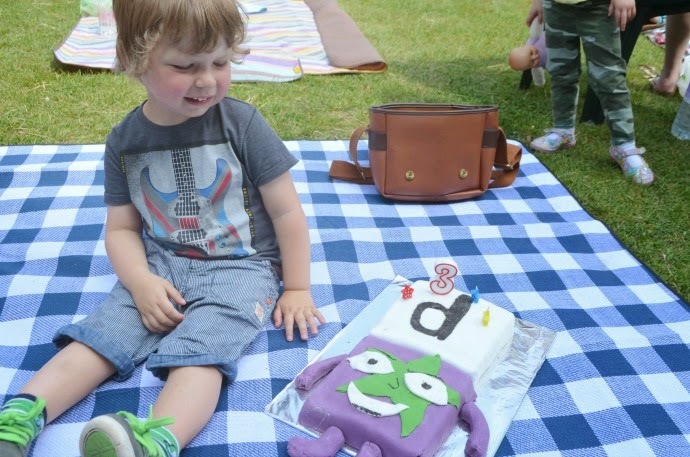 Aww it's a great cake - and a lovely way to include his theme into his party! Ahh happy birthday to Dylan! It's a fab cake and idea for a party.